Welcome to my little slice of Red Sox Nation here in Virginia. You won't find any Pink Hats here! This has been a pretty disappointing couple of weeks, to say the least. But I am used to it. I am a lifelong Red Sox fan. 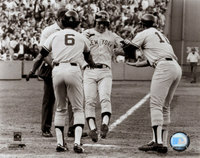 I first learned about the ups and downs of being a Red Sox fan during the summer of 1975. There was the great Fisk homerun, but we still lost the World Series to Cincinnati’s Big Red Machine. Then there was the summer of 1978 when I went to Camp Bernadette on Lake Wentworth in Wolfeboro, NH. Camp Bernadette is a Catholic girls’ camp. We did all the usual things good Catholic girls do at summer camp; we swam, made macrame plant hangers and put on a camp talent show. We also prayed a lot. I prayed mostly at night as I listened to Red Sox games on my transistor radio from my cabin bunk. That summer the Red Sox had a 14 game lead over the Yankees. Somewhere between swim relays and Sunfish sailing, those 14 games fizzled away. Just when I thought it couldn’t get any worse — it did. 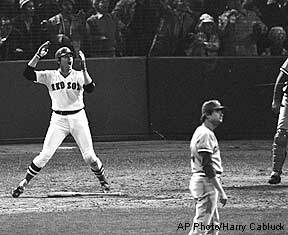 The Red Sox ended up in a playoff for the AL East division title and lost it all with one homerun by Bucky Dent. 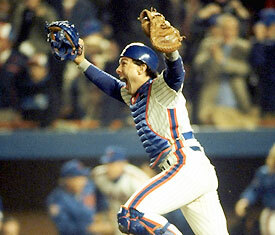 Then there was the 1986 World Series against the New York Mets. Talk about heartbreak! Later in life I moved to Jupiter, Florida and found myself sitting next to Gary Carter at the movies one night. My husband pointed him out to me and said: “Hey, that’s Gary Carter sitting next to you!” I promptly stood up with my popcorn and moved to another row. I was NOT going to sit next to Gary Carter from the 1986 NY Mets. Another low point has to be 2003 and the famous Aaron Boone homerun that dashed our hopes during the AL East division playoff. My husband was just getting on the Red Sox bandwagon (finally!). We followed the Sox all summer, and my dad kept telling us to keep the faith. We grew to love these guys! After Boone hit that homerun and ended our season, my husband turned to me and with a pained look on his face exclaimed: “Why did you do this to me? !” (read: “Why did you turn me into a Red Sox fan? !”) People told us when we first got married that “marriage is hard work.” I think this is what they were talking about. Of course we have enjoyed many exhilariating moments. But the reason I bring up 1975, 1978, 1986 and 2003 is to remind you myself that our current slump is just that — a slump. It may last the duration of the 2009 season, and we’ll end up in the cellar with the Orioles. Or we may have a miraculous surge of momentum as we did in 2004. Way to keep the faith like a true Sox fan. You should read my post from today, I think I touched on this same point a little. Nice writing, I will check out your blog again in the future! Another similarity between us, Jen. I went to summer camp in New Hampshire and used to listen to the Red Sox games at night on WBZ radio. The counselors would come into our bunk and say, “Turn that off.” I’d turn it back on as soon as they were gone. Such fun. FBC – Good post – I likey! Jeff – Yeah, I heard the same thing about Gary. A little time off? Are you kidding me? We had 86 years off… (but I understand your perspective).